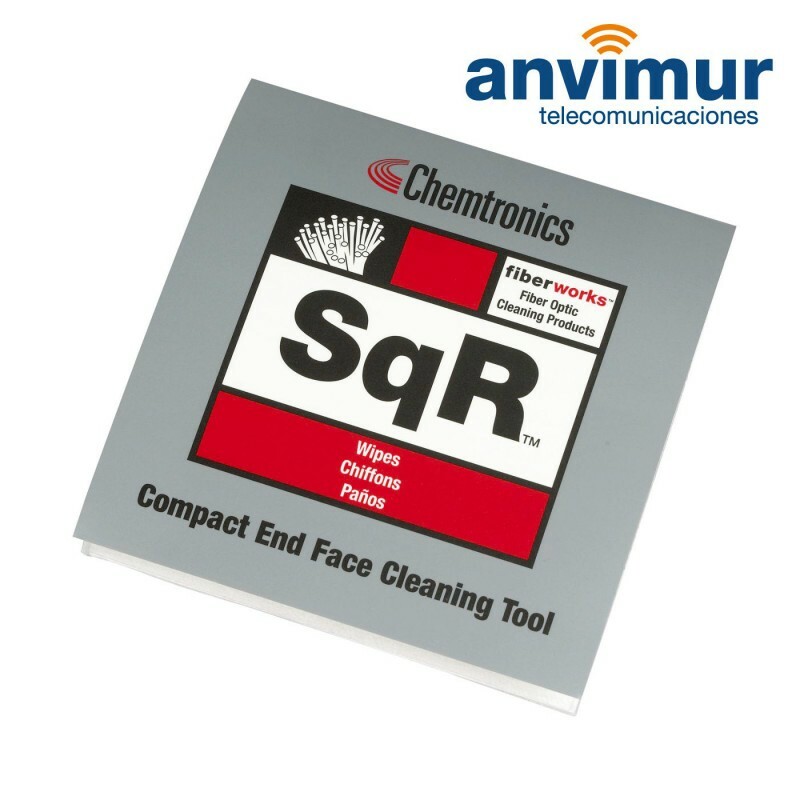 SqR™ from CHEMTRONICS is the precision wipe system employing a patented process for cleaning fiber optic end-faces. It is a self-contained cleaning tool that can be used in the wet-to-dry combination cleaning process CCp™. The SqR™ is portable, convenient and economical for use in field or in tools kits. SqR™ is the precision wipe system employing a patented process for cleaning fiber optic end-faces. It is a self-contained cleaning tool that can be used in the wet-to-dry combination cleaning process CCp™. The SqR™ is portable, convenient and economical for use in field or in tools kits. Convenient Size - Portable system easily fits in tool cases and is handy to use on work benches. Easily slides into a pocket too.